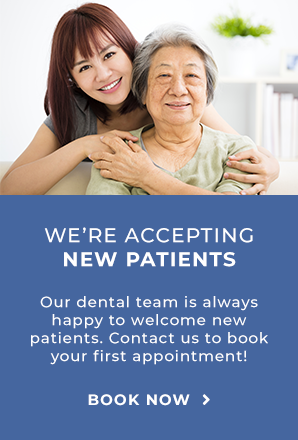 Our Scarborough dentists offer cosmetic dental services to help you get the smile you want. We can help you with at-home teeth whitening and provide dental bonding to fix gaps and discolouration. If you want to improve the brightness and overall appearance of your smile, our dental team may recommend professional teeth whitening. Cosmetic bonding can be used to close tooth gaps, fill cavities or eliminate spots, chips, and discolorations. It’s also a great option to repair a broken front tooth.